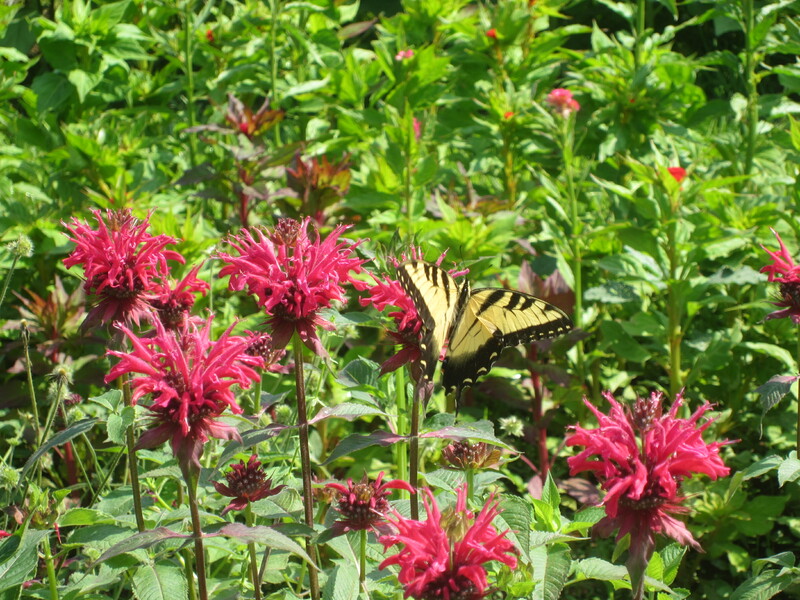 It’s the end of June and the farm is filled with butterflies, flowers, and good food. And weeds. So much changing each day it is hard to keep track of what is ready where. 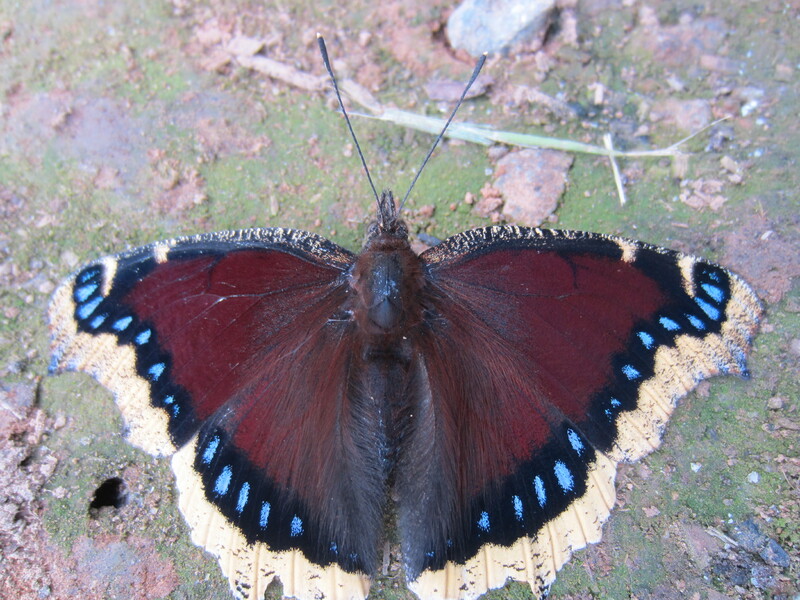 I could spend all day walking around and just observing the beauty. But instead I spend all day frantically harvesting this and that and making mental notes of all the things I should be doing but don’t have time to do. Cockscomb celosia in the big tunnel. Flowers are magnificent right now. 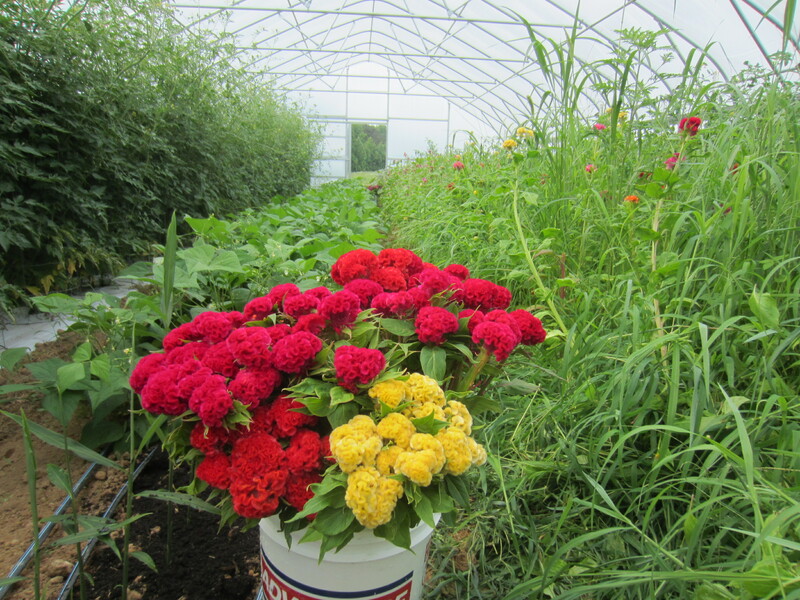 Even the vegetables make beautiful flowers… if you leave them in the ground long enough. 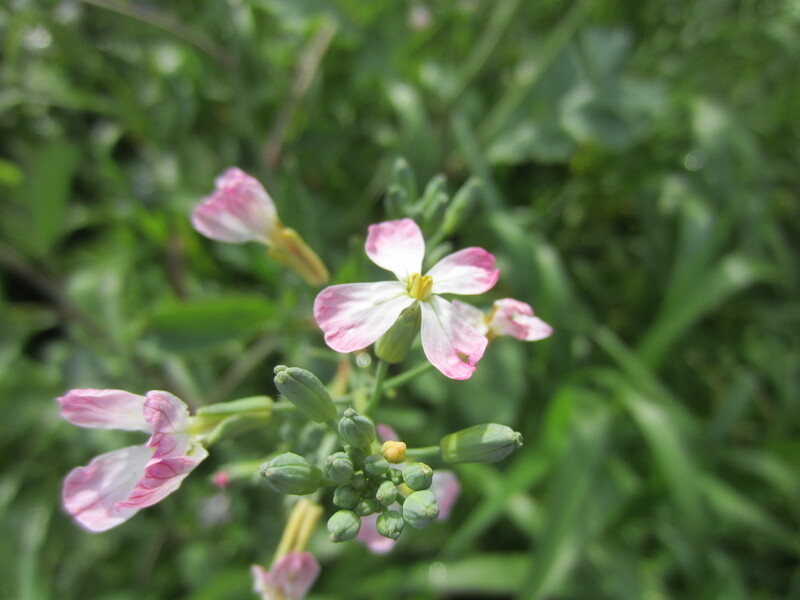 These delicate pink and white beauties are radish flowers. 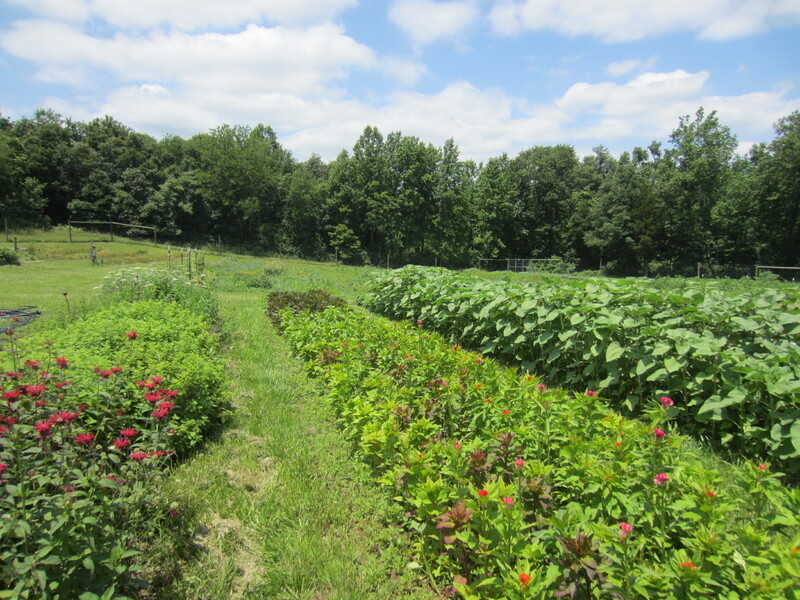 A row of farmscaping to the left: herbs and flowers to attract beneficial insects. 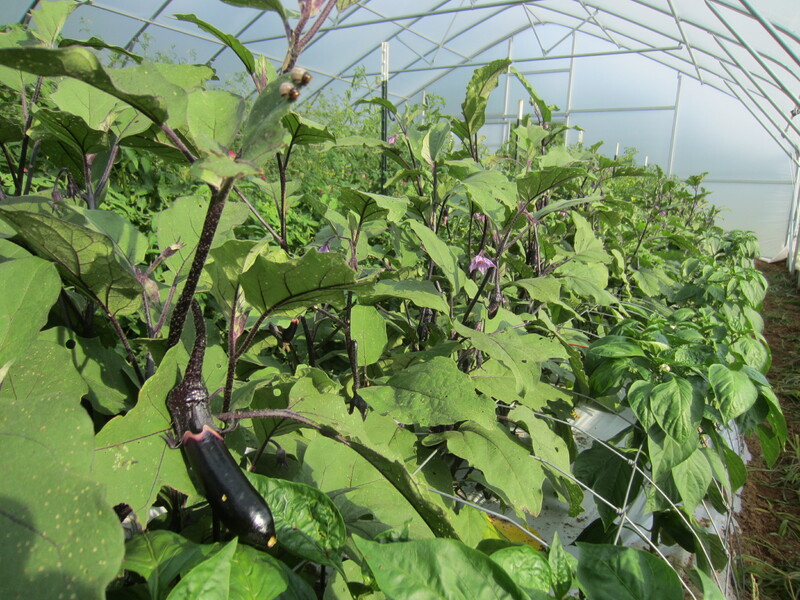 Bean picking in the new tunnel. It has been so nice having the beans inside with all the rain lately. 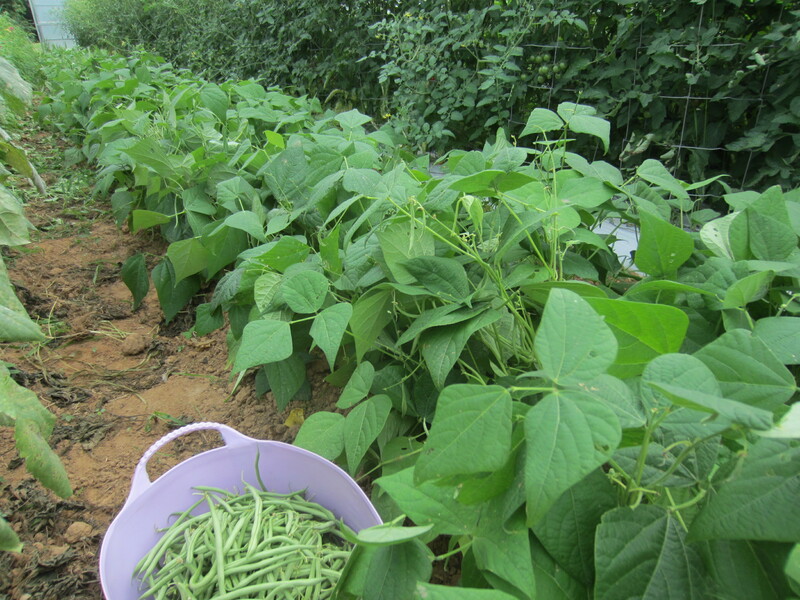 I can pick in the rain, and the bean plants don’t fall over and rot! 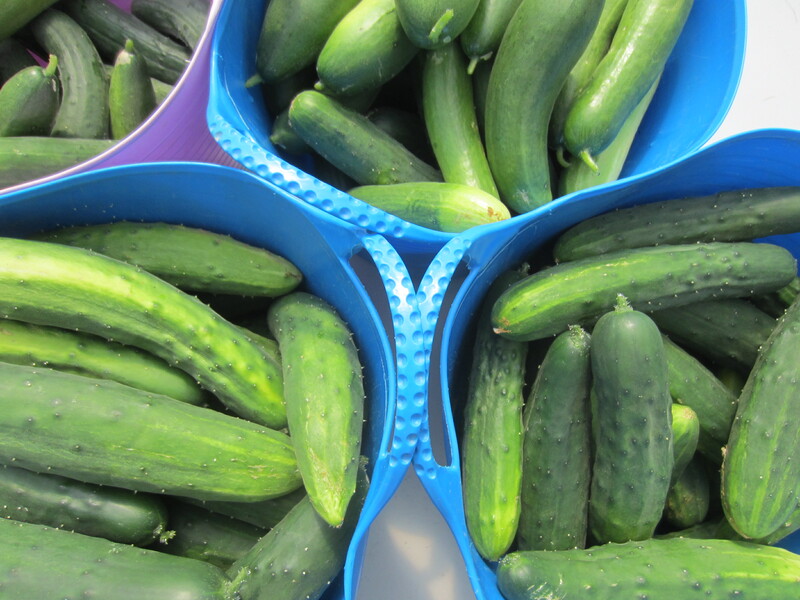 Diving into a sea of cucumbers. Might be a new sport around here. 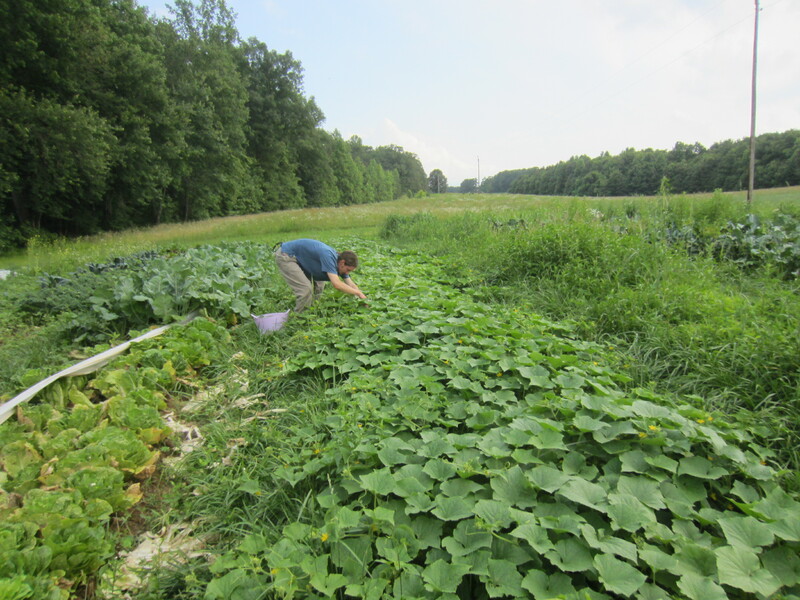 It was a big week for cucumbers! 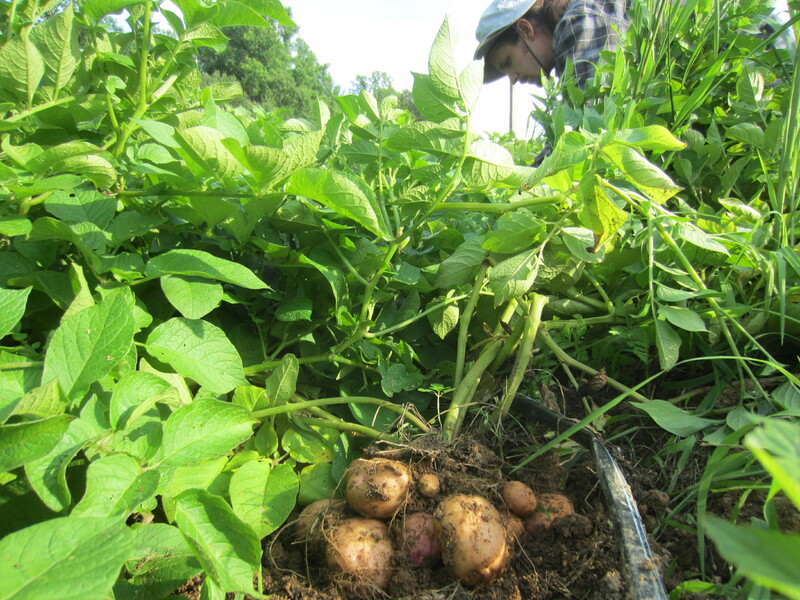 Digging some of the first potatoes from the mud: Kerr’s Pink variety. Eggplant. Don’t look too close or you will see the two potato beetle larvae munching on the leaves above the eggplant fruit. They require lots of diligent scouting and squishing to keep in check, or they will defoliate your plants in no time. 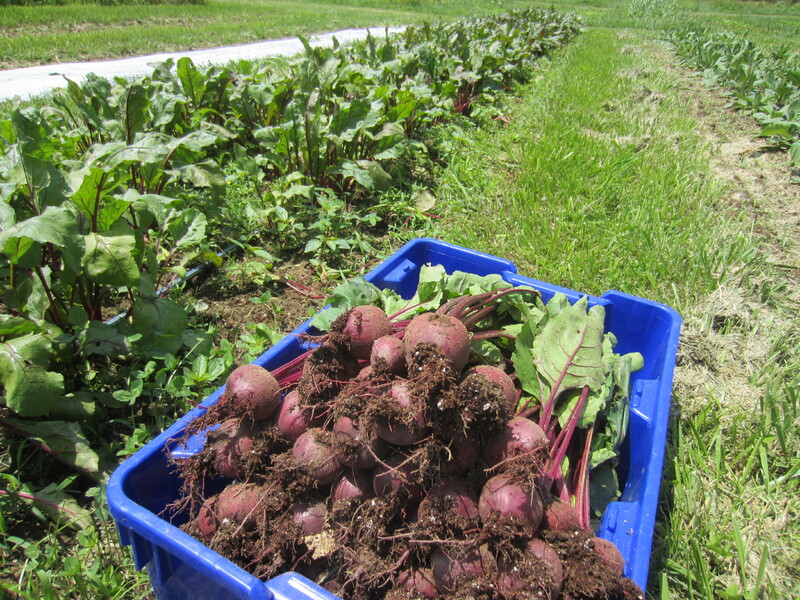 Finally, a good beet crop. 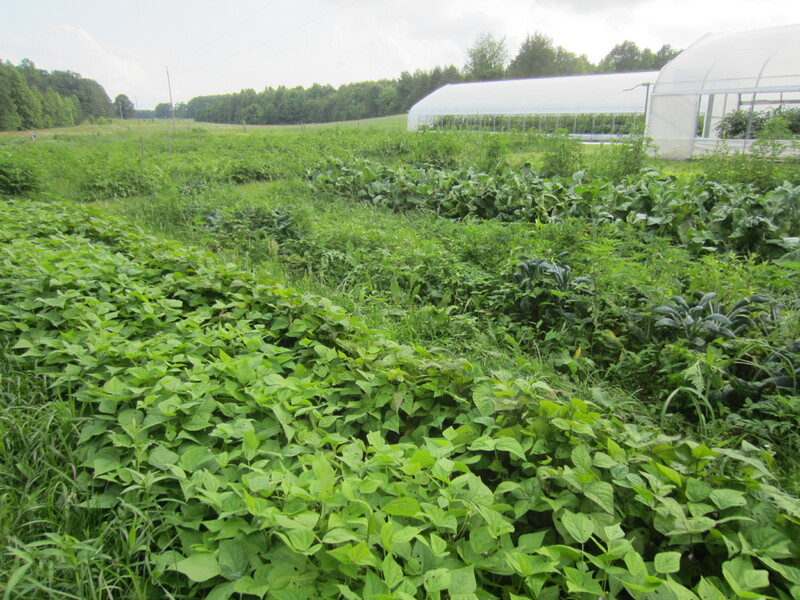 The voles found my first two plantings and left very little for me to harvest; my third planting was almost totally overcome with dodder (cuscuta), a parasitic weed that is quick to spread and take over large areas. 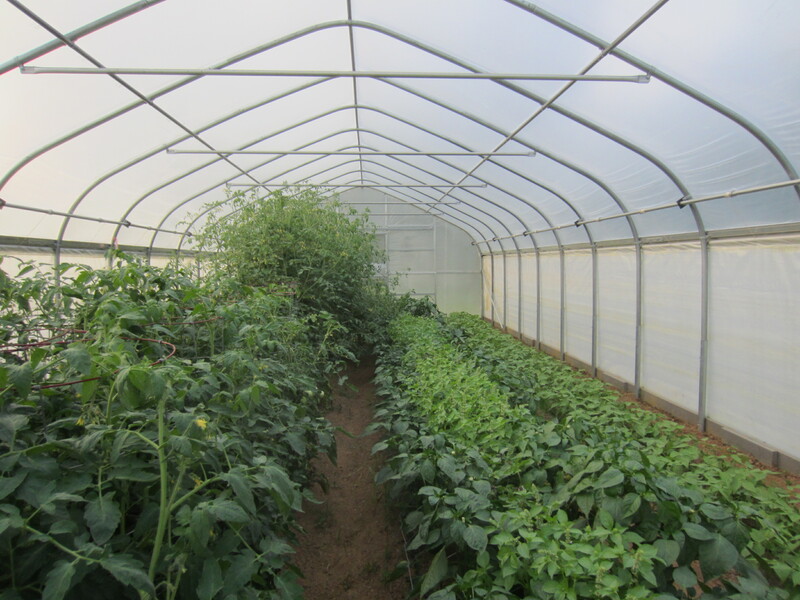 In the little tunnel: cucumbers, tomatoes, peppers, basil, and flat beans. 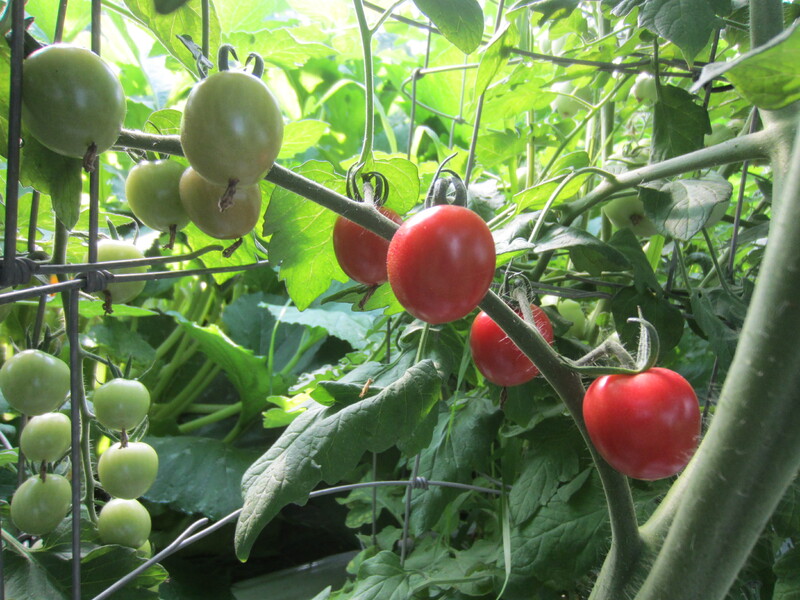 Some first cherry tomatoes ripening. 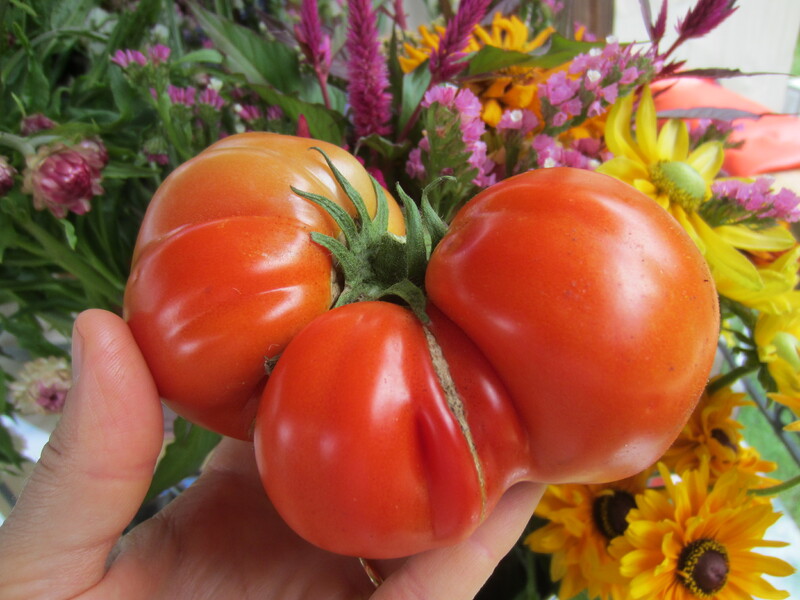 And one of the first heirloom slicers, Illini Star. 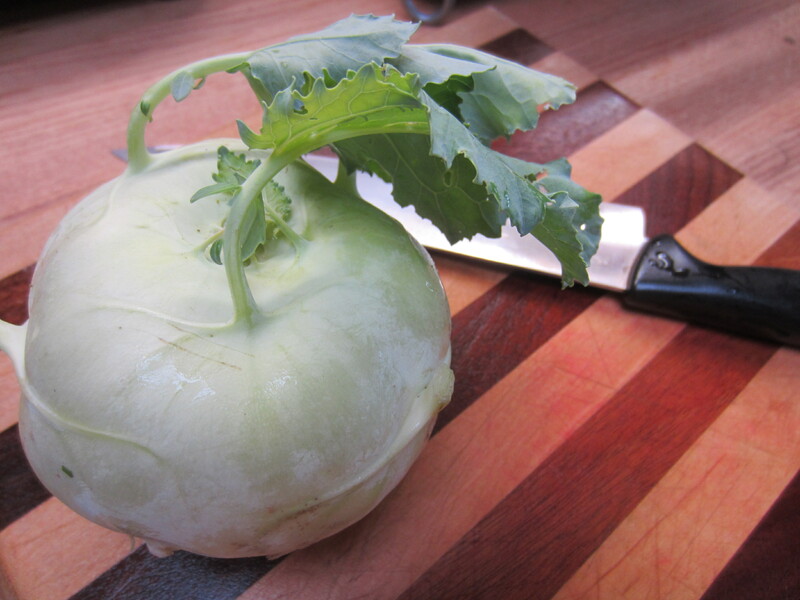 Kohlrabi. My new favorite vegetable. 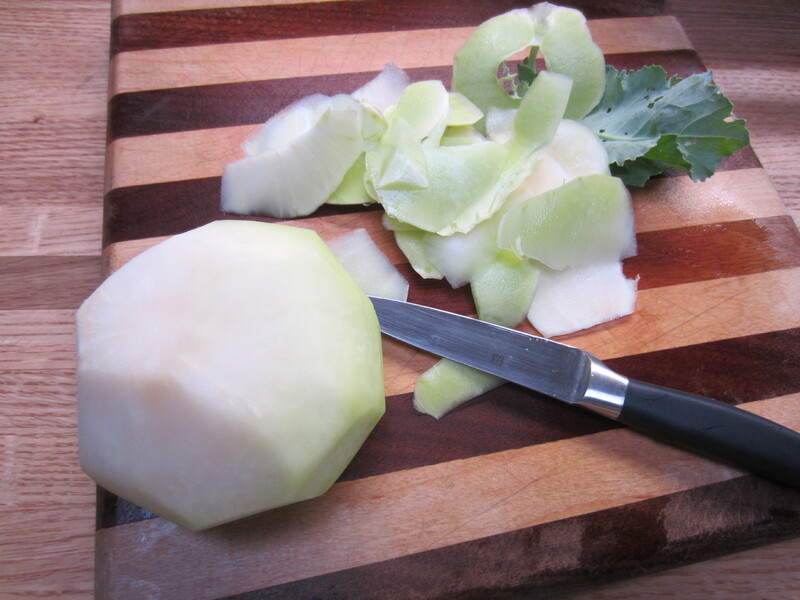 Peel off the skin, grate up the interior, and toss with a creamy dressing or a viniagrette, and voila: kohlrabi slaw. You could add in carrots and cabbage too if you have them on hand. 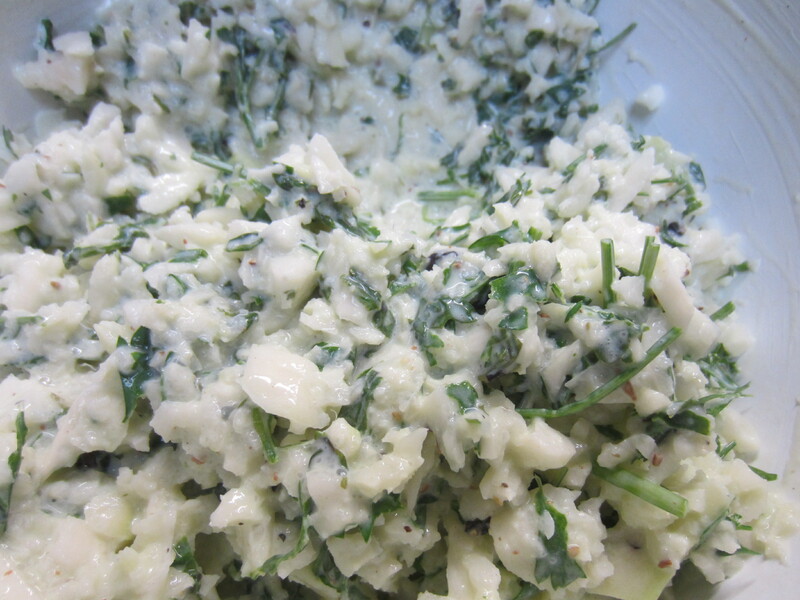 Throw in some chopped fresh herbs and spices and you’re ready for a summer picnic. Or just slice up and dip into hummus or any veggie dip. Last week a bad storm passed through and knocked out our power for several days. 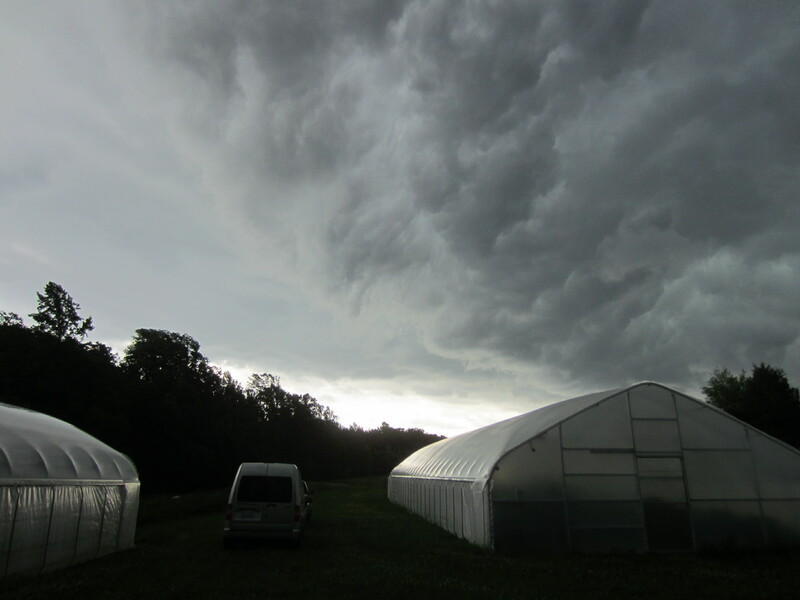 It made harvest and market prep a bit challenging without water and electric. So we are getting serious about planning for the install of a generator to keep our harvests coming even during bad weather.